Help us celebrate the opening of our new Kay Jewelers Pavilion, 177 W. Exchange St., at one of these special events. Our weekend events will include tours of our backyard-themed building, awesome entertainment by local kids and fun activities for families. Thursday, April 23, 5:30 – 8:30 p.m.
To RSVP, contact 330-543-2125 or rsvp@chmca.org. Friday, April 24, 7:30 – 10 a.m. Guided tours of the Kay Jewelers Pavilion will follow CME program. For more information or to register, contact 330-543-2125 or rsvp@chmca.org. Employees and their families are invited to an exclusive grand opening celebration. Saturday, April 25, 11 a.m. – 3 p.m. Lunch is provided and free parking is available in all decks. Sunday, April 26, 1 – 4 p.m. Parking is free. Learn more. 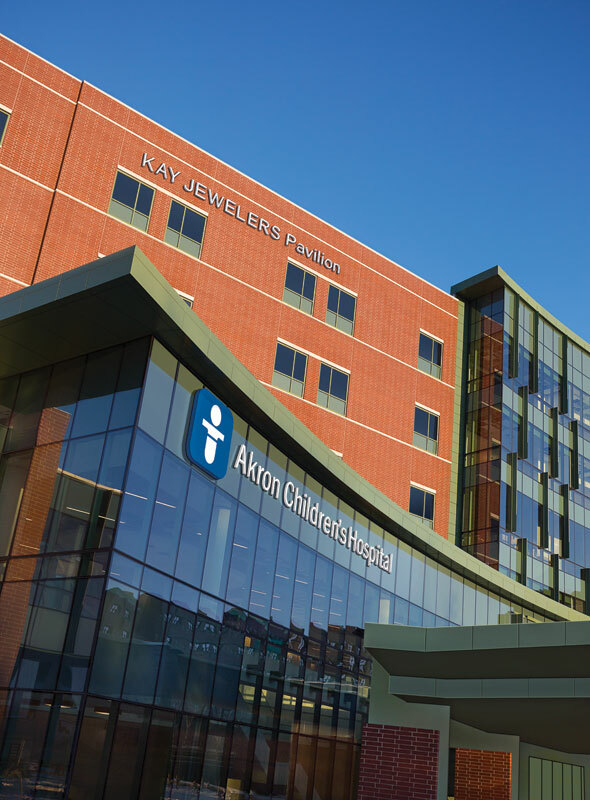 "Have a story about your experience at Akron Children's in the last 125 years?